I will performing at the Berkshire Brouhaha in a couple of weeks’ time, at the kind invitation of Duke Box himself. The Brouhaha is a new steampunk event, masterminded by the Duke and his cronies, and is sure to draw a good number of the region’s Steampunks together. 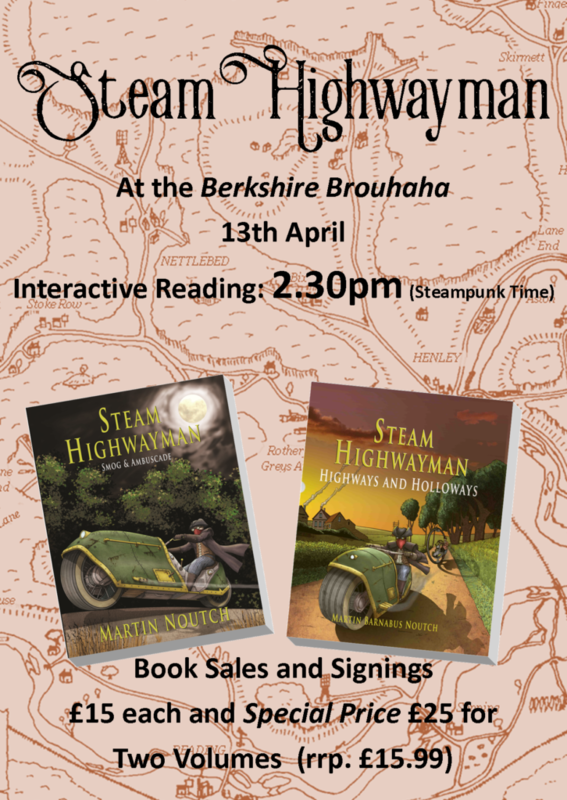 And while Bracknell itself is a little off-the-map, it is still a part of Steam Highwayman country: when I was living in Marlow, I would ride down to Bracknell to participate in teacher training events. For any of you interested in post-war housing estate developments (like me), it’s worth a wander. If you’re local or intending to be there, it would be great to see you. I hope to be reading for you at around 2.30 (dependent on the many vagaries of steampunk time, as once you mess with the historical continuum it plays havoc with our modern clocks). 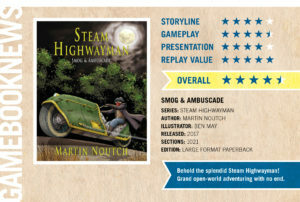 I’ll also have copies of Smog and Ambuscade and Highways and Holloways with me, on sale at a particularly good price, and be happy to sign any. If you want more information about the event, you can try the Facebook or Eventbrite pages just here.